An American astronaut and Russian cosmonaut are just two months shy of launching to the International Space Station for an entire year. Already, though, scientists are clamoring for additional long-term subjects. Two people are not enough from a scientific perspective, said NASA's space station program scientist, Julie Robinson. The space agency wants to start collecting data from Scott Kelly and Mikhail Kornienko before making any firm decisions on further one-year missions, she said. 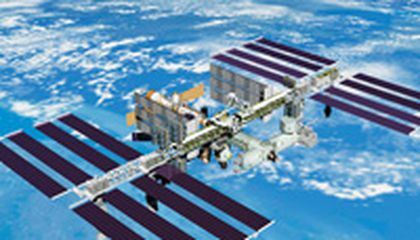 NASA and its partners Russia, Europe, Japan and Canada are considering as many as 12 one-year test subjects at the space station. All but Russia are new to such long orbital hauls. Both space veterans in their 50s, Kelly and Kornienko will rocket into orbit in late March from Kazakhstan and remain aboard the space station until the following March. It will be the first time NASA sends someone into space for 12 months. Station stints typically last six months. The Russians are old pros at this, but medical and technological breakthroughs since Russia's yearlong missions from the 1980s and 1990s means even more will be learned this time around, according to Robinson. The two sides will collaborate on many of the experiments. NASA wants to learn how the body fares after a year in space, before committing to lengthy trips to Mars and elsewhere. Right now, it's a big question mark as to what happens beyond six months in orbit. "What we don't know right now is what that six- to 12-month period looks like," Robinson said. "We're talking about it scientifically, but we're not really having deep discussions about it until we have the first information from the first two. If we see something dramatic, that's going to change how everybody looks at having additional one-year missions." Kelly will provide an especially unique set of data. His blood and urine samples, as well as other measurements, will be compared with those from his identical twin brother, Mark, a retired astronaut. Last week, space station program manager Mike Suffredini said NASA may wait until commercially developed crew capsules are ready to launch astronauts from U.S. soil, before building on Kelly and Kornienko's flight. That won't happen before 2017 or 2018. SpaceX and Boeing are the two chosen contractors. Since the retirement of the U.S. space shuttle fleet in 2011, Russian Soyuz spacecraft have served as the only means to ferry crew to and from the space station. Critical thinking challenge: Why isn't NASA making any firm decisions about long-term stints in space? This should be an interesting experiment. I am glad that we as the United States are improving are knowledge of space, and space travel. I hope that they will actually be able to do this mission successfully. With as technologically advanced as we are this should work. If it works it can open up all new ways to keep people healthy on long trips to space. Critical Thinking - Because they are still doing tests on the subject. And this will be their the first time doing a long term stint into space. 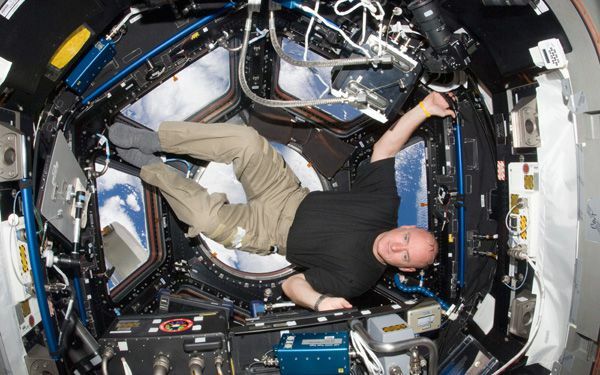 They want to find out what will happen to the human body while being in space for a year. This will be the longest anyone has ever been up there. 12 months is a long time in space. I would probably be scared to even leave the planet for space exploration. I'm sure they're very nervous for this. The data collected from this trip will be historical and scientific. As the effects that space has on the body long term are still being explored. Also, this mission is a joint mission between the U.S. and Russian space programs. This will mark a new unity between the two countries. Together they will find out more about not only the human limits, but also discover more to learn about living in space and the prerequisitions for that. NASA is not making any firm decisions because they do not think it is possible for men to last six months in space. Even though people have lasted years in terminals. They will try to do one year but they will take it safely. NASA is not making any strict decisions about long-term space expeditions because they aren't sure what to expect. The United Sates has only ever had an astronaut in space for 6 mounts before. They want to know all of the consequences first. They want to make sure that it wouldn't harm the astronaut to be in zero gravity for so long and how it will effect there long term health. Right now, there still working on test be the space program could leave as early as 2017. Interesting but what would happen if both astronauts were injured? Is there an emergency plan? Anyways may they have a safe mission. Just in case shouldn't they send more astronauts with them in the 6 month plan in order to observe the astronauts changes through various eyes. This article is interesting to me. it basically tells you how to prepare your year in space and expect to see beauitiful sights of space. If I would spend a year in space I dont know why I would do that because you wouldnt be able to contact anybody like your friends and family. That would be scary but I think it but be kinda fun. So what I would do I would make sure I went to everything so I could see and learn about different things about space.